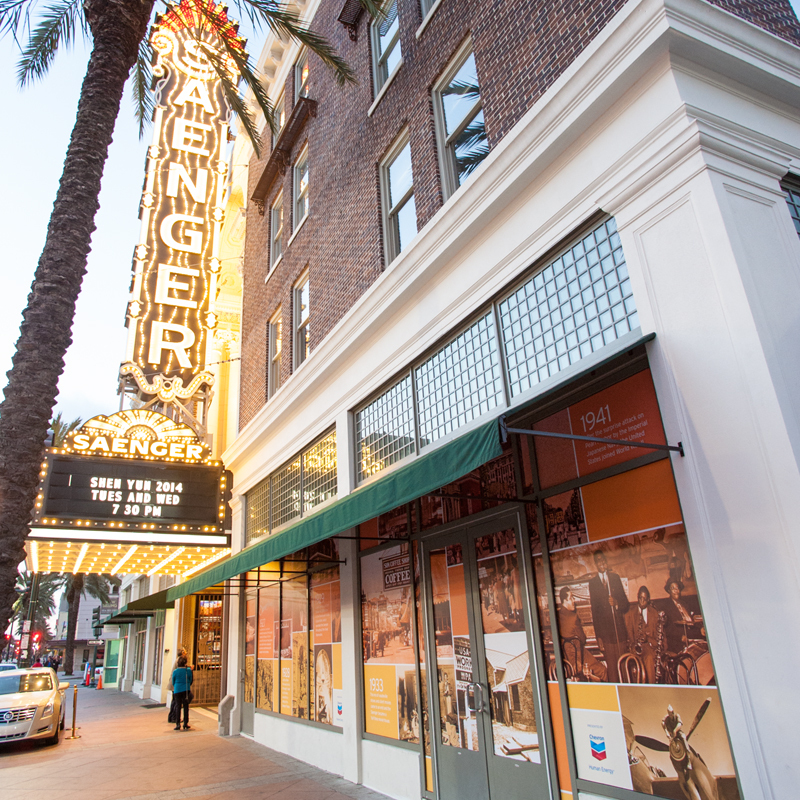 Demonstrate Chevron’s economic and social commitment to the people of New Orleans through the restoration of the Saenger Theatre, a historic landmark on Canal Street listed on the National Register of Historic Places. 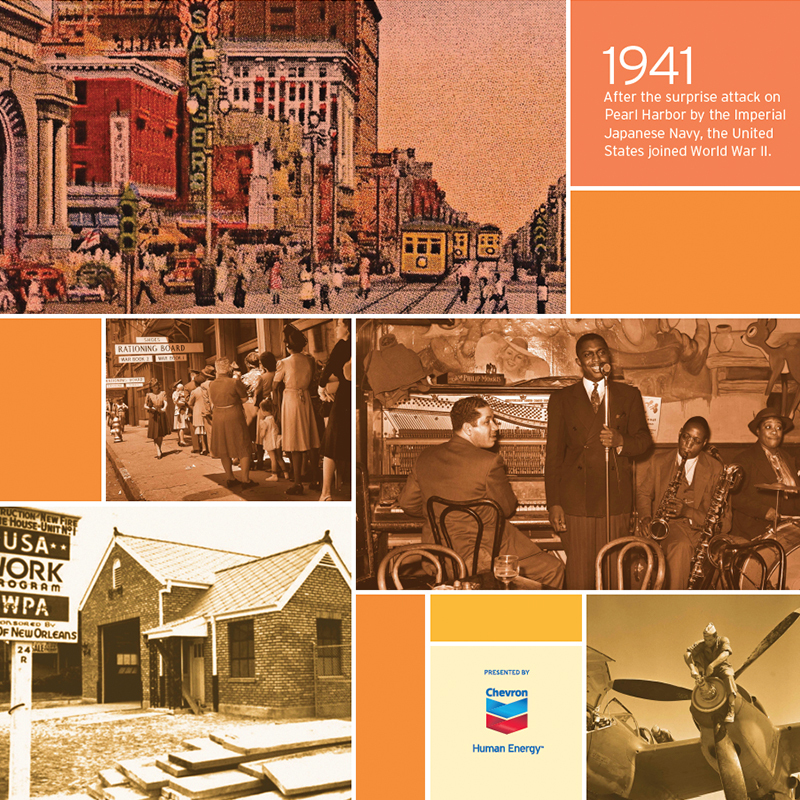 To highlight and promote Chevron’s pledge to the historic preservation of New Orleans. Produced an exterior mural that wrapped around two sides of the theatre, creating a single story of evolution and transformation that showcased the theatre's unique history. Acquired imagery and historical content from the New Orleans Library, several non-profits and media outlets. Worked with the architects of the theatre restoration project to carefully integrate the mural into the building's art deco design. Educated the public about the history of the theatre and Chevron’s role in the theatre’s restoration. Developed interior visuals displayed within the Saenger Theatre to ensure consistent messaging. 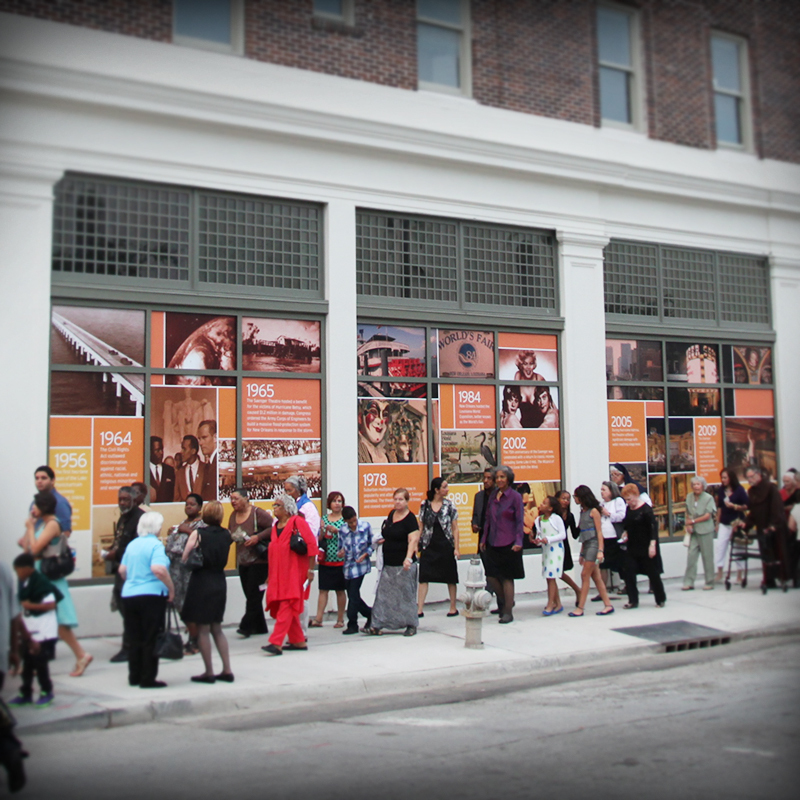 The mural is viewed daily by the thousands who traverse Canal Street and patrons waiting to enter the theater, reinforcing Chevron's continuing support of the New Orleans community.